Last month, we had been working on identifying area and perimeter in math. 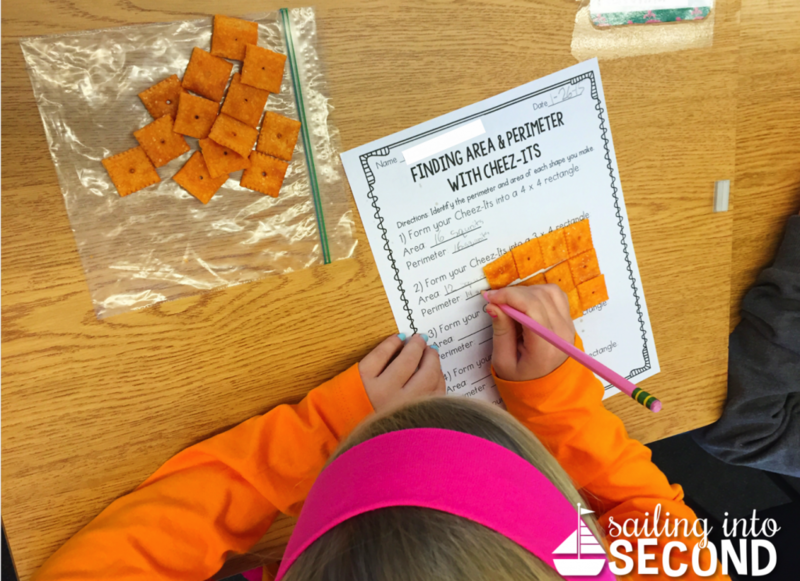 So, I thought a fun activity to wrap up our unit could be this Cheez-It activity I saw on Pinterest. I modified it a tiny bit for my kids but they definitely enjoyed it nonetheless. I mean, workbook activity vs. Cheez-Its?! My activity was the winner. Here’s how to go about using these yummy crackers as part of your engaging math lesson. 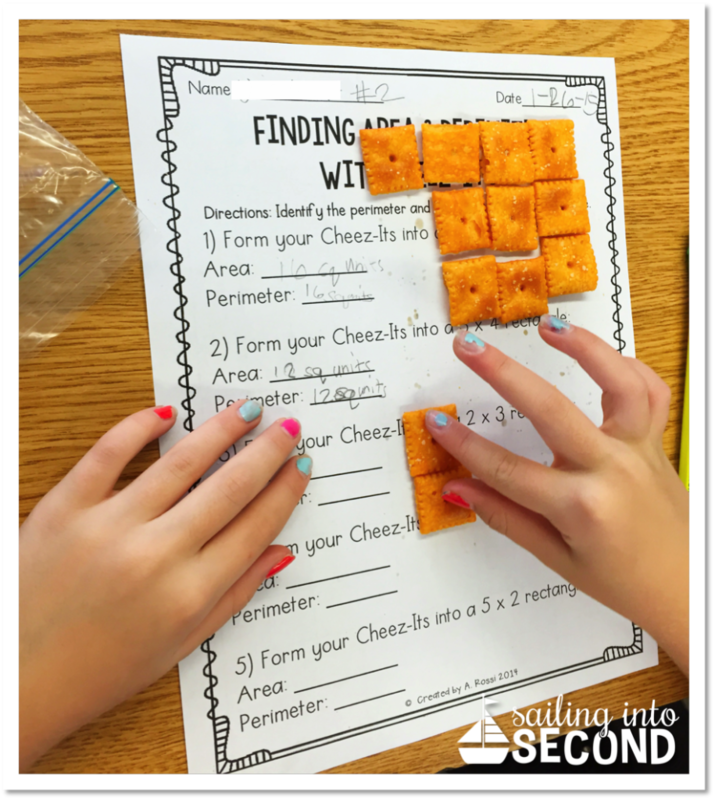 Give your students a handful of Cheez-Its…I gave each student a plastic bag with 25 Cheez-Its inside. Then have your kids create figures with the Cheez-Its. 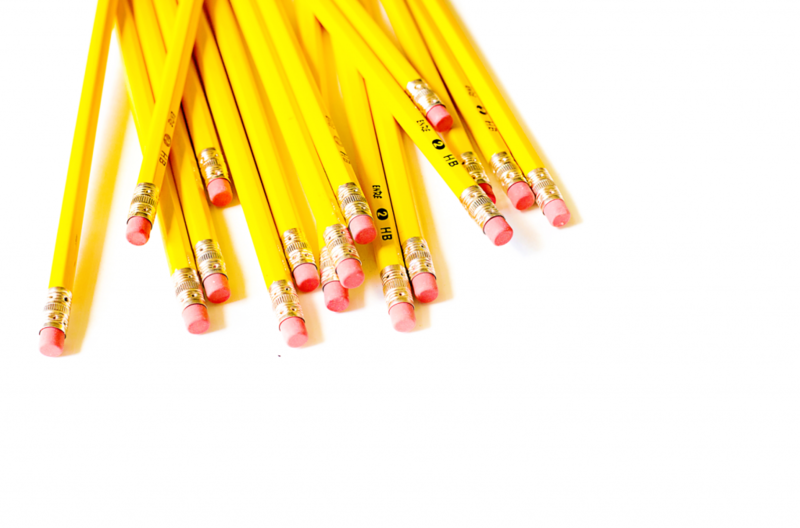 As they make a figure, they can draw it on some grid paper or on a napkin on their desks. Then have them identify the perimeter and area of each shape. How easy is that?! I let my kids eat the little snack after work is complete. I bought a Costco pack for my class of 25 and had half a bag left over! You could easily buy 2 boxes at the grocery and it would work just fine! 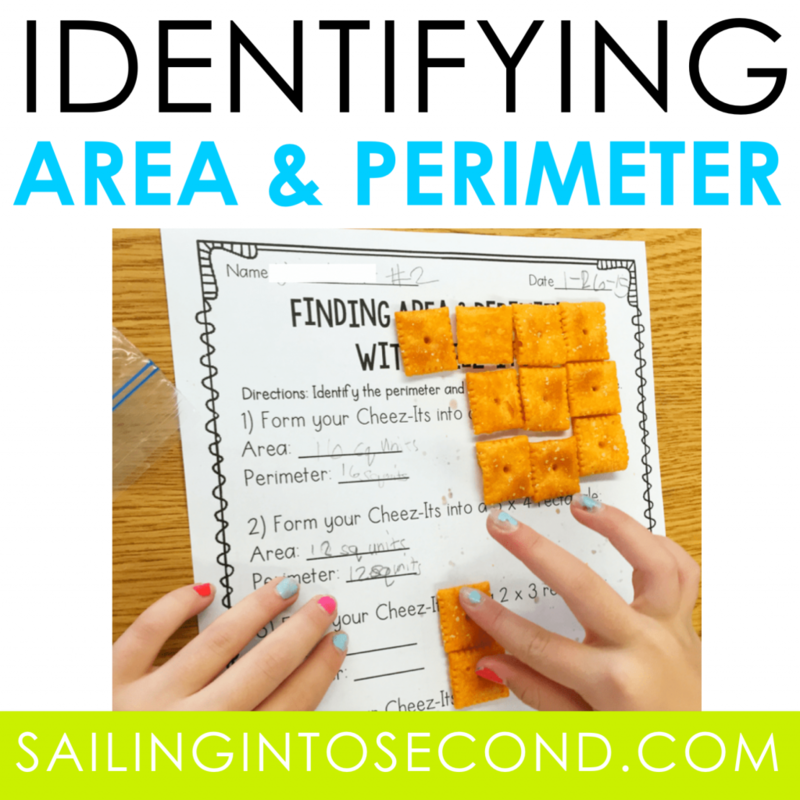 What are some fun ways you teach area and perimeter? 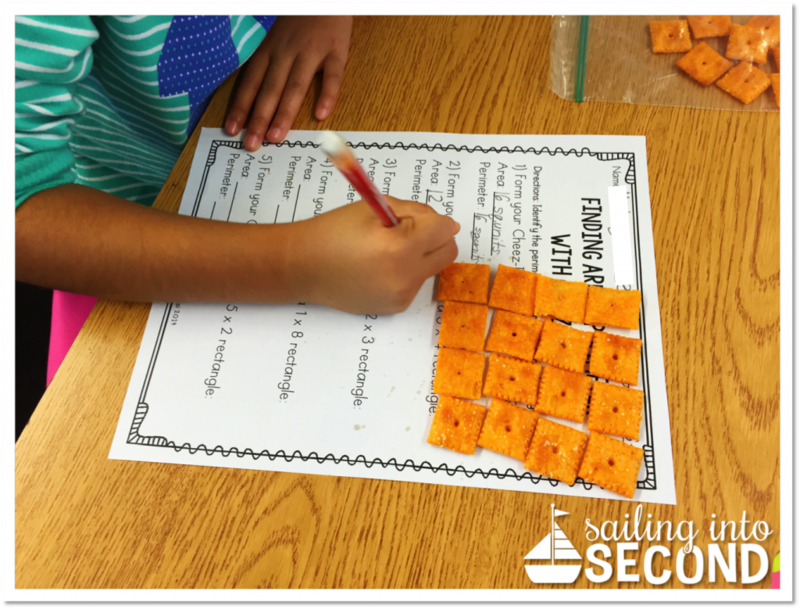 Want to use more Cheez-It activities in your math lessons? Just drop your name and personal email address in the contact box at the end of this post and I’ll send them over to you right away into your inbox! I’ve used Cheez Its before but I love your recording page! Thank you!